Underlying the 4Ps marketing principle, and with the transdisciplinary input, Relationship Marketing (RM) has evolved as a fundamental concept to respond to the postmodern marketing management issues. A literature review has been conducted to recognize the rationality of the evolvement of RM and how RM responds to the postmodern marketing management issues to meet and exceed contemporary market needs. The findings reveal that RM utilizes the transdisciplinary mode-2 knowledge production (value proposition) approach, based on the value perception of the postmodern market to cope up with the contemporary and latent market trends, which should be substantiated by market competitiveness, cost effectiveness and social (including all associated stakeholders) acceptability. Such a transdisciplinary mode-2 value proposition of RM and its contribution to the postmodern marketing management appears as coherent across markets and industries. Realize how RM responds to the postmodern marketing management issues to meet and exceed contemporary market needs. It is, however, widely approved that marketing as it is recognized today-the marketing mix (product, price, promotion, place-the 4Ps) approach, initiated to form during the 1950s and 1960s in the mass consumer markets of the USA (Little & Marandi, 2003). 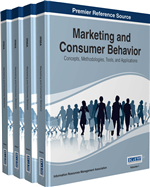 The gurus of marketing principles helped to create the marketing mix or marketing management approach as a replacement to the production and sales concepts, stressing that marketing success depends on identifying and satisfying consumer needs. In the late 1970s and early 1980s, a number of writers started to criticize the application of only 4Ps marketing mix in total marketing management (Little & Marandi, 2003). The technological developments and further academic research have exposed a number of limitations in the traditional 4Ps marketing mix approach. As a consequence, the 4Ps marketing mix approach has been extended to several Ps marketing thinking and practice to cope up with transforming market. The evolution has been illustrated in Table 1. Shams (2012) Proof: Proving advantage through customers’ or other stakeholders’ experiences. Preference: Flexibility on customers’ and other stakeholders’ preferences.